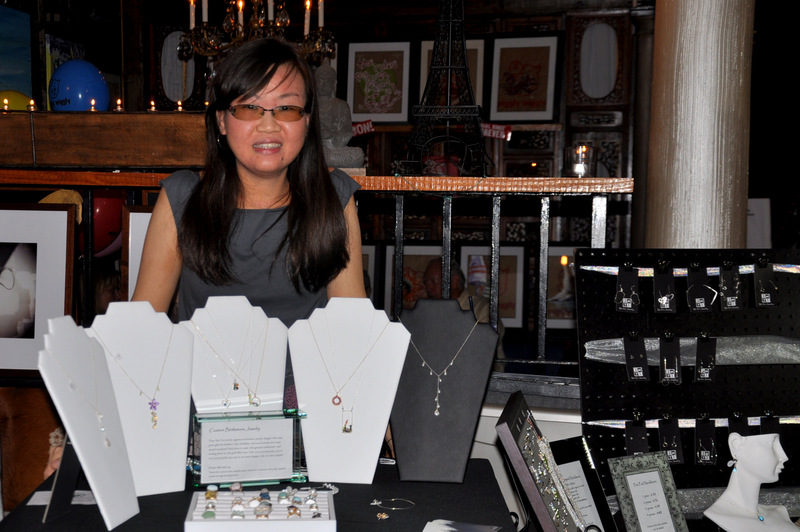 A native of Taiwan, jewelry designer Mu-Yin Chen (also known as Mollie by her American friends) specializes in custom wire wrapped jewelry made with precious metal, high quality colorful freshwater pearls and genuine natural gemstones. Every piece is made to order to fit customers’ size and customization, be it a ring, necklace, or bracelet. While Mollie received professional training in various art areas including literature, fine art and classical music, her wire wrapping skills are mostly self-taught. A fan of handcrafted jewelry herself, one of Mollie’s goals is to provide the general public trendy and well-made handcrafted designer jewelry without the high price tag. Many designs are limited editions featuring rare colored freshwater pearls and natural gemstones collected by the designer herself from all over the world. Mollie’s Designs are noted for their vibrant colors, often simple yet meticulous construction and the delicate balance between the wire and pearls/gemstones. Since first introduced to the public in 2007, these girly, sweet, simple and easy to wear designs have been treasured by customers from 45 countries. Among the most popular designs are the custom mother's birthstone jewelry collections, the pea pod necklaces, safety pin earrings and bow rings. In addition to designing jewelry, Mollie is also a professional classical pianist. Her piano performances can be heard locally as well as on her music website. Mollie now resides in Portland, Oregon.